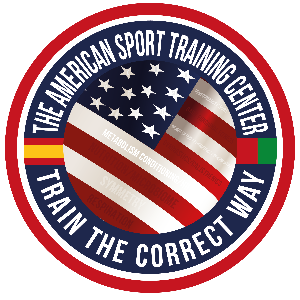 Based in Granada, Spain, the ASTC teaches you to “train the correct way,” which starts with basic breathing and musculoskeletal symmetry. Once correct breathing and proper movement become habitual, new skills can be introduced and trained with consistency while increasing intensity until the skills become habit. A body that performs correctly becomes stronger and more efficient while avoiding injury that could become chronic pain over time. Hicham Mar founded the ASTC in order to define a process for improving overall health through forming better daily habits. He draws upon his education and experience spanning three continents, working with athletes from diverse backgrounds to identify methods for achieving optimal results. He defines coaching as "a process to intentionally design one’s total transformation in order to achieve specific goals" and he bases his coaching method on a systematic approach to training where binary strategies get applied to achieving goals. His coaching process combines technical and biomechanical; physical and physiological; mental and psychological; and tactical and strategical techniques, and orients them around obtaining targeted results. He’ll help you choose a goal and then plan backward to achieve it. Or, if you already have one in mind, then get in touch with Hicham to chart a path that works for you toward your goal. Certified coach by USA Cycling, USA Triathlon, and USA Track & Field. CSCS- and ACSM-certified. Success. Coach Hicham Mar Trainer has been notified of your message.